Unique Cherry four post bed with silk canopy has romantic appeal with its classic good looks and charm. 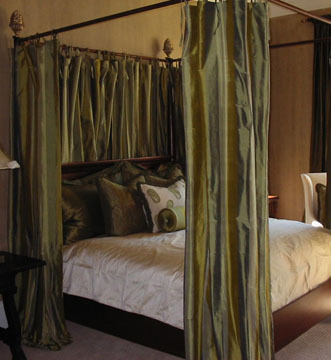 This four poster queen sized cherry bed is as sturdy as it is elegant. Custom finials give a refined finishing touch to this graceful bed. Oil varnish and wax finish.